Hair transplantation is a very popular medical procedure. 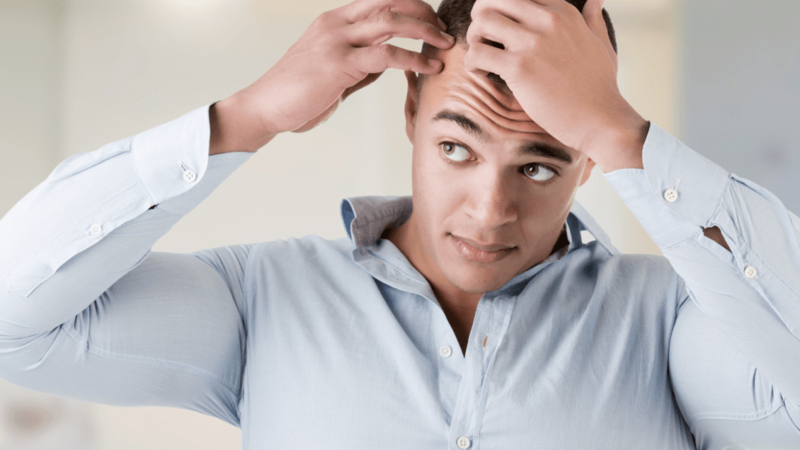 Many people who seek out hair transplantation are those who suffer from balding or thinning hair, which has in turn affected their confidence and self-esteem. Hair transplantation services, including the effective Follicular Unit Extraction (FUE) and Follicular Unit Transplantation (FUT) methods, are offered in countries all over the world. Turkey is one of the the leading countries where you can find the best quality hair transplantation clinics. However, not every facility that provides hair transplantation services has the knowledge and experience to do so. In recent years, authorities in several countries- including Turkey- have warned hair transplantation patients against having their operation performed at technician clinics. Here is a bit more information about hair transplantation, who should perform hair transplantation services, and why technician clinics are dangerous. Hair transplantation is a popular surgery that involves moving hair follicles from one part of the body to another. This surgery takes follicles from a preselected “donor site” and moves them to a “recipient site.” There are many reasons why people choose to have a hair transplantation surgery. Some may be self-conscious of their thinning hair or receding hairline, while others may suffer from balding. Some patients even use hair transplantation to cover bald patches on their heads from scars or previous injuries. Hair transplantation is a surgical procedure that has been around for over 60 years. However, hair transplantation techniques have evolved significantly since the 1950’s. Today, the most effective hair transplantation methods are FUE and FUT. FUT, the older of the two methods, is also commonly referred to as “strip harvesting” or “the strip method.” When performing FUT hair transplantation, a strip of scalp is removed from the donor area and transplanted into balding areas. FUT involves the extraction of many grafts and leaves a rather large scar at the back of the patient’s head. FUE, developed in the late 1980’s, involves extracting individual hairs using a 0.6-0.8mm micropunch device and inserting them into the recipient area. Unlike with FUT, the FUE method doesn’t leave a scar and can be done much quicker. Why are technician clinics dangerous? Lack of experience: The nurses and technicians that perform hair transplantation operations at technician clinics simply do not have the qualifications or experience to perform such an operation. In fact, it is illegal for them to do so. Their lack of experience can lead to the surgery being done poorly, which could result in everything from hair growing in the wrong direction to infections. You can end up loosing your donor area and this cannot be replaced. Corruption: All unlicensed technician clinics that perform hair transplantation surgeries are operating illegally. These clinics oftentimes hire refugees to recruit patients, treat them poorly, and pay them based on commissions. Therefore, the desire to recruit patients is intensified, which can lead to some people being tricked out of their money and persuaded to undergo a hair transplantation that isn’t necessary. Health risks: Because nurses and technicians aren’t qualified to perform hair transplantation surgery, the chances of them making mistakes during the operation are quite high. While some mistakes may be minor, others can lead to irreparable damage to the scalp and severe health risks. Who should perform hair transplantation? When it comes to hair transplantation, it’s very important that only those who are qualified perform the operation. In Turkey, the law requires that a physician performs the operation. However, a non-specialized doctor doesn’t always have the knowledge and experience needed to ensure successful hair transplantation. If you want the operation to go smoothly, you need to have a surgeon who is not only qualified, but also experienced and knowledgeable regarding hair transplantation. The best people to perform a hair transplantation are plastic surgeons. At Dr. Ilker Apaydin’s practice in Turkey, hair transplantations are performed by the doctor himself, a plastic surgeon who has been working in the hair transplantation industry for over 20 years now. Why should you go to Turkey for hair transplantation? Turkey is one of the most popular countries when it comes to hair transplantation services. In 2018 alone, nearly 850,000 medical tourists came to the country- many of them to have hair transplantation surgery. There are several reasons why medical tourists prefer to have this procedure done in Turkey rather than in other countries. Firstly, hair transplantations like FUE and FUT are much cheaper in Turkey than in other countries. Because hair transplantation is so inexpensive, many medical tourists can easily afford to have their procedures done at private hospitals. The private hospitals in Turkey not only offer world-class services, but are internationally accredited and staffed with extremely experienced nurses and doctors. With such easily accessible high quality services, there is no reason why anyone either in Turkey or visiting as a medical tourist should have to get a hair transplantation service done at a technician clinic.